Port Stanley is a small community located on the North shore of Lake Erie, where their main beach is one of only 27 throughout Canada that holds official Blue Flag status – which represents their commitment to keeping their water clean. You can expect to feel the coziness of a small beach town when you arrive, this feeling will linger as you explore the quaint boutiques, restaurants and cafes throughout the downtown core. 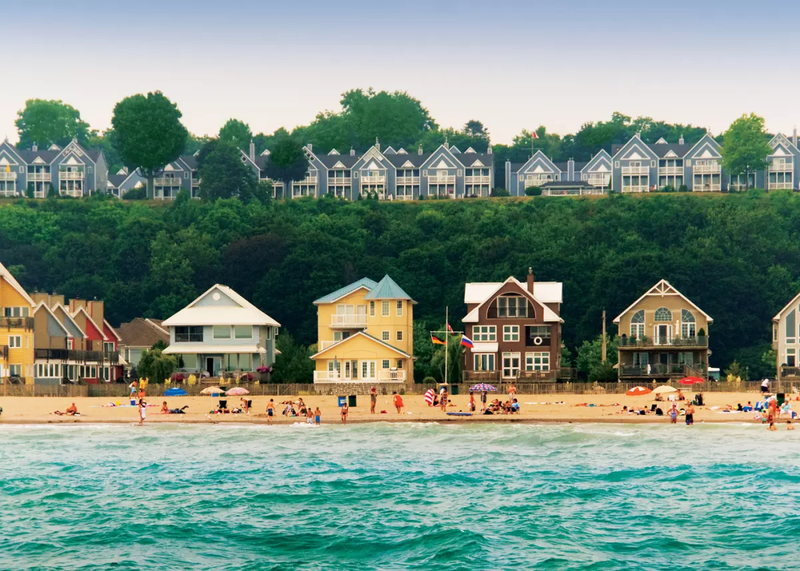 Port Stanley is great for families, couples who can’t get enough of small town feels, as well as for the adventurous who seek their thrills through water sports. If the sound of this charming town has you already packing your bags, let us tell you how we would spend our perfect weekend there! 1. We don’t think we even have to tell you this, but we highly recommend hitting the beach once you arrive. Port Stanley has two beaches, the main beach, as well as a secluded little beach. The main beach offers water sports like parasailing, paddle boarding and kayaking, as well as several volleyball courts on the sand. 2. If you get hungry after all that activity, GT’s on the Beach has been voted one of the best beach bars in Canada; you’ll find local favourites on the menu like Lake Erie perch and their famous dessert nachos. Plus, they offer live music on weekends. 3. Ride the Port Stanley Terminal Rail – this is fun for the whole family, the Port Stanley Terminal Rail is a historic, operating tourist railway that has been running for over 30 years. Also offered on board the train are special events like murder mystery rides. 4. Treat yourself to hand-scooped ice cream at Broderick’s. This ice cream parlour has been a staple in the community for over 34 years. With dozens of flavours to choose from (including seasonal pumpkin pie, our favorite!) and waffle cones made in-house. 5. Visit Great Lakes Farms. It’s run by a family who has been farming since the 1950’s. There is a lot to see and do at Great Lakes Farms including Peach Fest, Apple Fest and Pumpkin Fest. Also available at the farm bakery are fresh baked goods made with seasonal fruit grown right on the farm — peach pie anyone? 6. If you’re headed there in September, make sure to add A Taste of Port to your calendar. It runs from September 21-23, 2018. A Taste of Port is a weekend long festival that celebrates the fresh fish and other local ingredients sourced from Central Elgin. They also feature wine and craft beer from the region. There will be cooking demos, food trucks and special dishes prepared by local restaurants. This year will be the inaugural event and we think it will definitely be worth the visit! 7. Stop by Harbourtown Fudge to stock up on snacks for your ride home. You will find homemade fudge, local honey and maple syrup, and sponge toffee, all made in house. We can’t think of a sweeter way to end a perfect weekend than with a slice of their famous Watermelon fudge.